Brookmeade - 14x21 heated greenhouse(hot&cold water+circulating fan)or convert to another use. MLS#3480909. Keller Williams Mooresville. 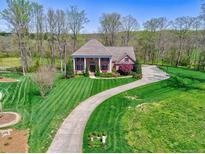 Come check it out because this beautiful home won't last long. MLS#3466896. Keller Williams Mooresville. 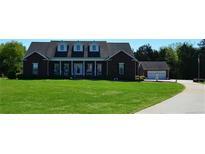 Located on the edge of Statesville and Troutman this exceptional home will not disappoint! MLS#3494680. WEICHERT, REALTORS- LKN Partners. Furnace & central air were installed in 2018. MLS#3492680. RE/MAX Properties Plus, Inc..
Be sure to peep the outbuildings so you are aware of the stuff you will inherit w/ this unique gem. 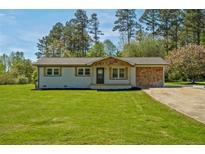 MLS#3491387. Tarheel Realty II. Don'T Miss Out On This Great Lakefront Home! MLS#3493523. iTrend Realty. Fort Dobbs FARMS - Small Floting Dock For The Fisherman. MLS#3489608. RE/MAX Properties Plus, Inc.. The basement is fully heated & Cooled but not completely finished off. 4/2019-New rook w/architectual shingles. MLS#3489542. Allen Tate Lake Norman. Come make this your new home today! MLS#3494665. TMR Realty Inc..
Donsdale - Sellers decided to paint it neutral just like the rest of the house. MLS#3494123. Realty ONE Group Select. Please bring your buyers, they will not be disappointed in this great home. MLS#3491311. Allen Tate Statesville. Sharon Trace - Don't delay, this one won't last long. MLS#3493966. Kimberlye & Co. LLC. Taras Trace - PLEASE NOTE: As of 4/7 we have two offers, but because the relocation office is closed, I'm letting brokers know that we will have showings ONLY through Monday morning and then will decide on an offer at 1pm Monday. Thanks. MLS#3493025. Allen Tate Davidson. This home shows exceptionally well and will not disappoint MLS#3493310. Southern Homes of the Carolinas. New architectural shingle roof in 2014. New well in 2018. MLS#3493339. Coldwell Banker Residential Brokerage.